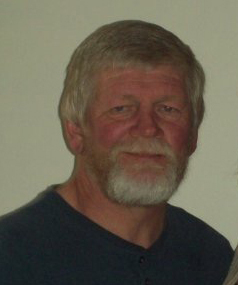 Michael James Smith, 66, of Tipton, peacefully left this world on Thursday, November 22 with his family by his bedside. Funeral services for Mike will be held on Tuesday, November 27th at 10:30 am at the United Methodist Church in Tipton. Burial will follow in the Red Oak Cemetery. Visitation will be held on Monday, November 26th from 4:00 to 7:00 pm at Fry Funeral Home. Should friends so desire a memorial fund has been established for Mercy Hospice of Cedar Rapids. Online condolence may be share at www.fryfuneralhome.com. Mike was born on October 22, 1952 in Le Mars, Iowa. He was the son of James Arthur and Mildred Jeanette Haack Smith. Mike graduated from Lisbon High School in 1971 and enlisted in the US Army. Mike worked for the Chicago Northwestern/Union Pacific Railroad for 39 years. On August 4, 1990 Mike was united in marriage to Connie Sue Keller in Mt. Vernon, Iowa. Mike loved the outdoors, taking care of his yard and planting beautiful flowers, but most of all he loved his wife, children and grandchildren. Mike is survived by his wife, Connie of Tipton; children, Chad of Newton, Todd (Hannah) of Tipton, Ben (Jillian) of Nairobi, Kenya, Joel (Heidi) of Cedar Rapids, Curtis of Tipton, and Kelly, of Waverly; grandchildren, Gage, Blake, Reese, Dorie, Caroline, Fred, Edwin, Shannon, Tyson and Blake Steven; sisters and brother, Suzanne (Dave) Nelson, Connie (Jack) Wolfe, Laurie (Clint) Simpson, and Mark (Karmen) Smith – all of Lisbon. He was preceded in death by his mother, Mildred, father, James, mother-in-law, Judy Keller and his father-in-law, Max Keller.